There are many techniques on how to maximize a small office space such as getting rid of the clutter to really define your office space. You may want to invest on wireless network connections instead of cables to lessen the cluttering of wires on the floor that is unsightly and makes a room a bit crowded. Another important one is to only buy office furniture that has the correct sizes appropriate to your small office and buy only the right quantity i.e. not too much but enough for your staffs that can also accommodate a few visitors. Clean white and simple designs can also make a small office less crowded. While all of the mentioned techniques can maximize your small office space, finding the correct window blinds is important and is a major contributor for increasing the perception of space. For this, a good choice is PVC vertical blinds since it creates a taller floor-to-ceiling height. 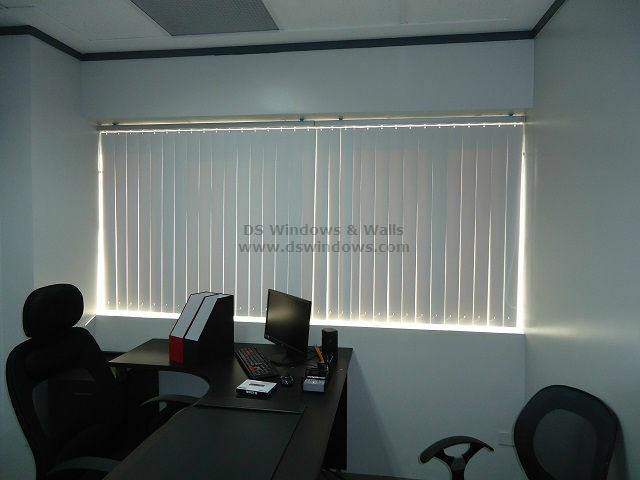 Just like our client located in Eastwood Quezon City, Philippines, they chose PVC vertical blinds over other types such as wood and roller blinds to create a taller office. 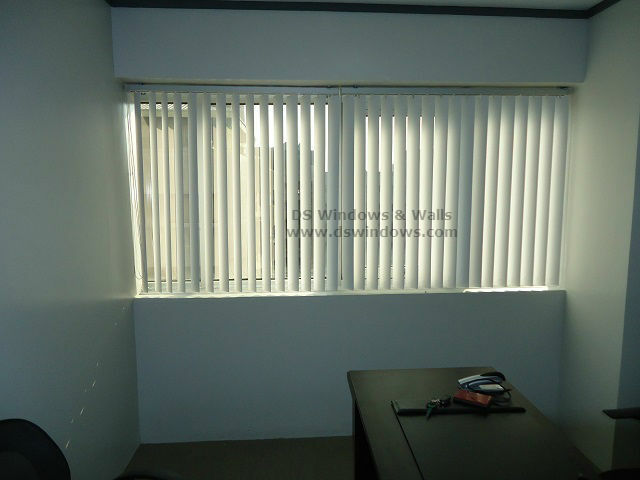 They chose a white PVC vertical blinds to promote a clean, simple and straight forward office space. Another way of making an office look bigger is to utilize the window view so that it creates more space. The natural light and view can also make a room look spacious. Vertical blinds can help create this effect since the user can simply rotate the vanes to control the amount of light in the room or move the vanes all the way to the left or to the right for maximum view. For more information about products and services you can visit our shop located at 4th level Waltermart, Makati City, 3rd level Robinson Metro East, Pasig City and 2nd level Pacific Mall, Lucena City. You may can also check our samples and swatches at www.angryblinds.com.ph. 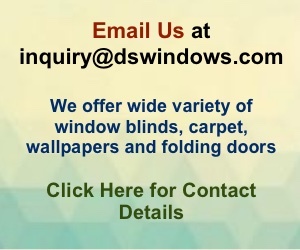 For inquiries you may email us at inquiry@dswindows.com or call us at (02) 403-3262 / (02) 668-9668 / (02) 893-1373 and 0916-311-3909.